Something major happened recently, and, if you always dreamed of retiring to the fictional town of Stars Hollow, you're likely still freaking out about it. Netflix is reportedly reviving Gilmore Girls, and it's the best Gilmore Girls development since Lorelei and Luke kissed in the series finale. As first reported by TVLine, the new series will be developed into four episodes, which will each be around 90-minutes long and play out like four "mini-movies." That may sound like an unusual idea for a television show — even for Netflix, which tends to play with the traditional television show format — but now a Gilmore Girls source is explaining the concept so it makes perfect sense. 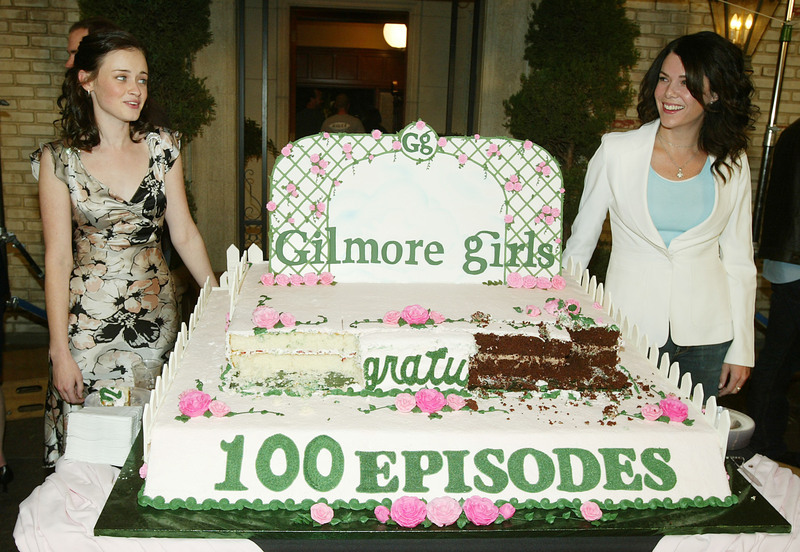 According to an insider for TVLine, each Gilmore Girls episode will be a season — thus giving us one amazing year in Stars Hollow. According to the insider, the whole revival will tell the story of one year, which means each mini-movie will take place over the span of a few months. That's definitely different from how Gilmore Girls was when it first aired on television, but it may be the perfect way to bring fans back into this universe. Not only will we have plenty of time to catch up with our favorite characters, but we'll also get to see them grow and change over the course of one entire year. That's more time than we thought we'd ever spend with our beloved small town characters, and it's just one more reason to get stoked for this new Netflix series.